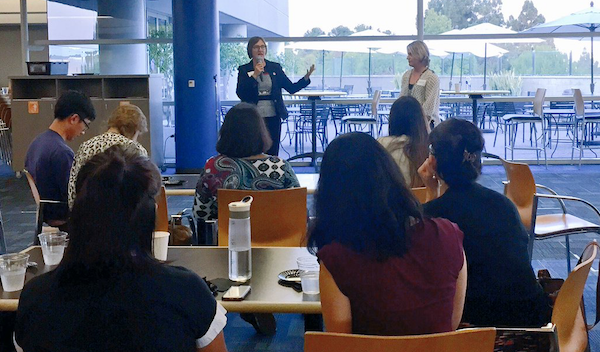 Founded in 2014, Designing Women champions women UX professionals with networking events, design labs and speaking opportunities. We work with companies to explore the benefits of inclusion in innovation. Gain real-world insights from professionals on UX design and research. Explore new techniques and fine-tune design skills with knowledgeable leads and great company. 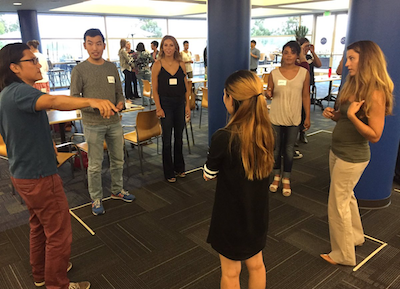 Meet experience designers, researchers and authors working in San Diego and beyond. Learn and share with user experience leaders. 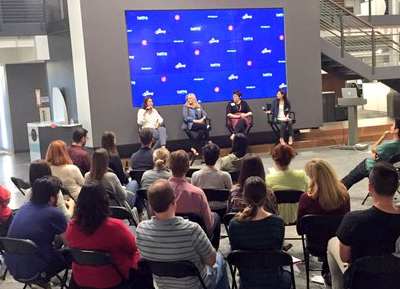 Designing Women continues its “See It, Be It” series to showcase leaders in UX who designed and impacted our community through generosity and innovation. 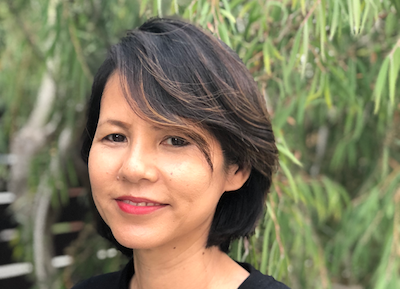 On this evening, we welcome Ha Phan, Senior Product Manager for Search at Pluralsight, for an insightful fireside chat about transitioning from UX to product. As a UX designer or researcher, have you ever considered becoming a product manager? UX designers and researchers strive to envision quality experiences to people using products while product managers focus on positive business outcomes. Jointly designers, researchers, and product managers play essential roles in creating impactful experiences in the new product landscape. What are the essential skills each of us needs to succeed? Where do roles intersect in the new landscape? Join Ha and Teena Singh, UX Strategy and Customer Insights lead at ServiceNow, for a discussion about the synergies between UX and product management disciplines. Refreshments generously provided by Qualcomm. 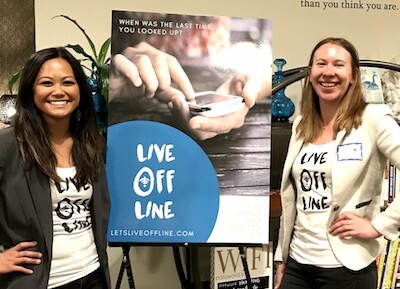 Live Offline co-founders, Katie Ramp and Syp Vandy Siligato showed participants how to detach from devices, be present, and make genuine connections. After a voluntary device check-in, participants enjoyed networking, and a journey of digital self-awareness, uncovering core behaviors and needs around devices. The insights helped draw a map to a better way to manage online and offline personal experiences. Refreshments generously provided by Service Now. 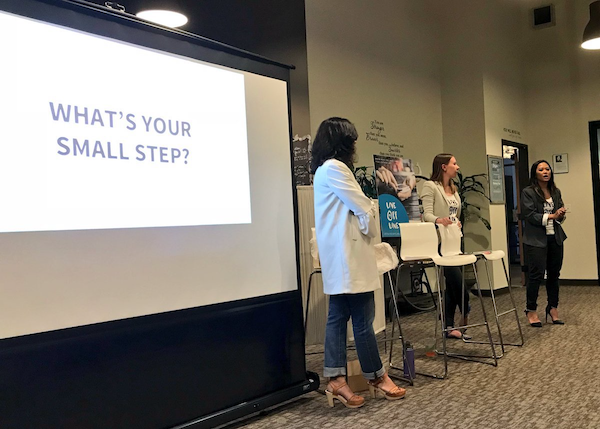 Designing Women is excited to launch the “See It, Be It” series where it will showcase leaders in UX who are designing and impacting their own world through generosity and innovation. 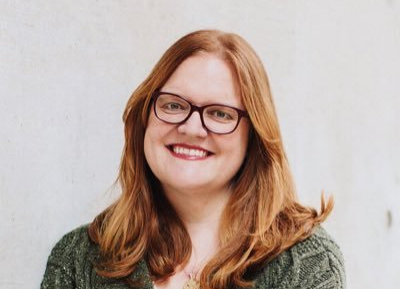 We are pleased to welcome Kara DeFrias, currently serving as a Senior Manager at Intuit on the QuickBooks Self-Employed and also previously served as Director of Experience Design for Vice President Biden at the White House. To enable creative spaces for human and technology innovation, Kara blends mindsets and methods, enabling teams to design with, not for people, and provokes teams to switch lenses on problem spaces to allow new solutions to emerge. Equipped with this mindset, Kara has worked to help transform the Women's World Cup press operations team and the production staff for both the 75th Oscars and the 55th Emmy Awards. DeFrias also founded TEDxIntuit, directed several TEDx events, and provided strategic counsel to the executive director and senior leadership team as Senior Advisor at 18F. As part of the inaugural class of 18 White House Presidential Innovation Fellows, Kara served as Entrepreneur-in-Residence, reimagining the relationship between the government and the people from a technology perspective. She’s done pro-bono digital strategy for organizations like Team Rubicon; spent time in rural India teaching micro-entrepreneur women product management; and guest lectures at UC San Diego STEM Academy for high school girls. When design and development teams work on solutions, opportunities arise to explore unchartered problem spaces. For Indi Young, the problem space is about understanding people and their larger purpose. Exploration of these spaces comes with letting go of thinking of solutions for a time. In her talk, Young outlined what a problem space is, how to navigate the ambiguity of the problem space with empathy, and demonstrate techniques to explore problems and bring creative solutions. 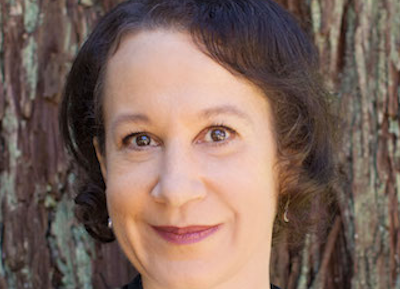 Indi Young has presented at her 40 conferences worldwide. In 2001, Young co-founded Adaptive Path, a groundbreaking UX agency with the mission to transform communities through design. Young received her bachelors in computer science from Cal Poly San Luis Obispo. In her early projects, Young realized that there was a gap between what her team knew, as engineers and creators, and what people were trying to ultimately accomplish. Young’s career has been dedicated to closing this gap..
For the untrained eye, the method of brainstorming is open-ended and chaotic. But in practice, brainstorming is a highly strategic and targeted activity that can rapidly uncover new, previously unconnected ideas. Brainstorming can help teams effectively solve existing problems in innovative ways, and can also frame new problem statements for products, services, processes and organizational challenges. Appachu shared her preparation activities and facilitated teams in a brainstorming exercise, leveraging multiple techniques. 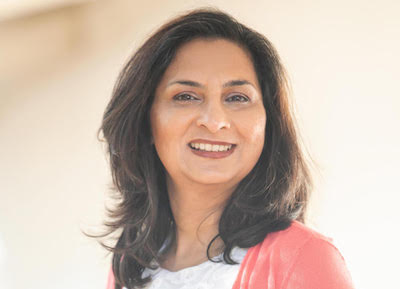 Kavita Appachu is Senior Manager, User Experience Research at Kelley Blue Book, Cox Automotive Media. She holds a Masters degree from The Ohio State University in Cognitive Systems Engineering and Visual Communication, an interdisciplinary program of cognitive science and design. 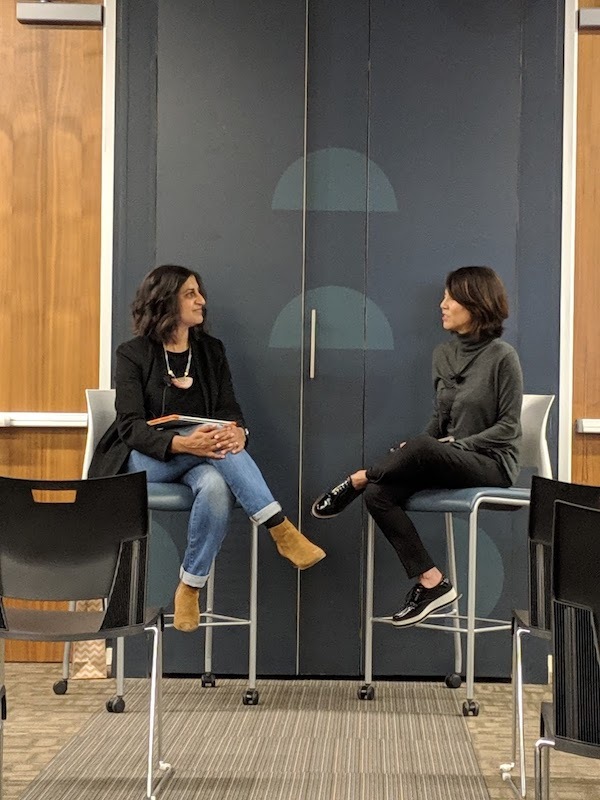 Her past experience includes Intuit, Netscape, AOL and Fitch Design, where Kavita worked in interaction design, user research and the adoption of Design Thinking. In developing a UX playbook, designers and researchers create user journey maps to better understand and prepare optimal experiences for customers. 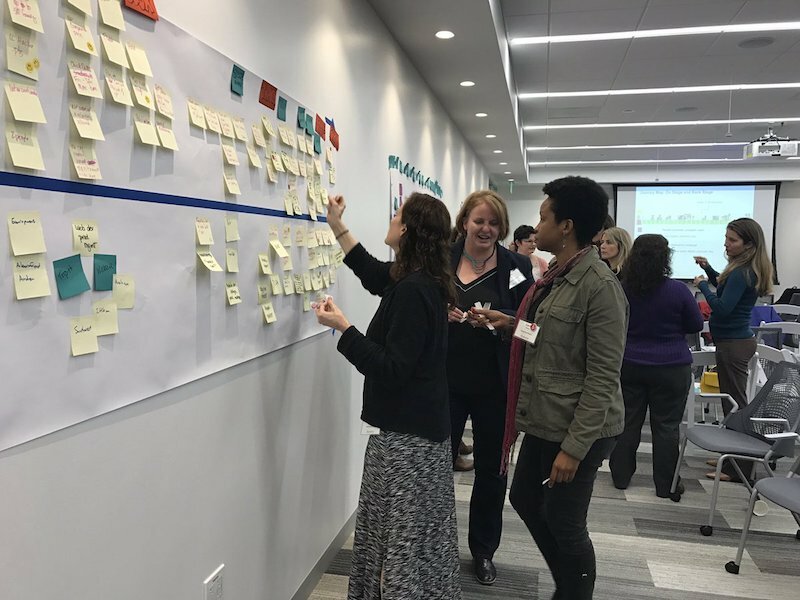 Additionally, the process of journey mapping can help UX practitioners share the customer experience with stakeholders and identify areas for improvement. Julie Baher is an experienced facilitator in journey mapping and has mentored teams to optimize customer experiences across different industries, most recently in biotech. 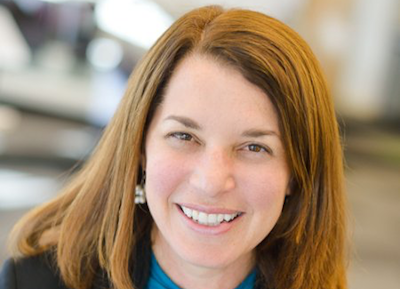 Julie Baher is Senior Director, User Experience Design at Illumina. She holds a Ph.D. from Northwestern University in Learning Sciences, an interdisciplinary program of cognitive science, artificial intelligence and education. Prior to joining Illumina, Baher worked at Citrix, Adobe and Xerox doing both interaction design and user research. She also worked for Don Norman at UNext where she founded the User Experience group. We kicked off 2017 with a talk from Laura Klein, principal, Users Know and author of UX for Lean Startups. 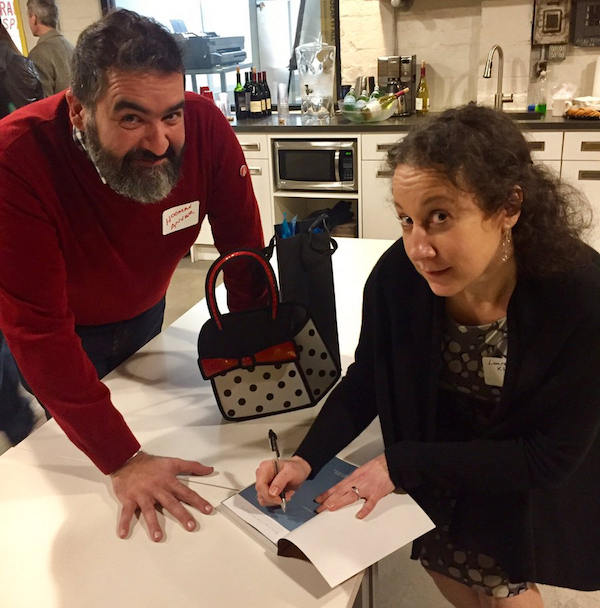 Laura presented the user map method and stayed with us to sign copies of her new book, Build Better Products. Laura fell in love with technology when she saw her first user research session over 20 years ago. Since then, she's worked as an engineer, UX designer, and product manager in Silicon Valley for companies of all sizes. 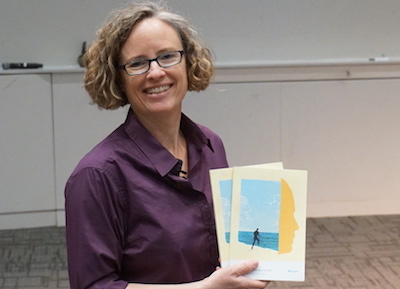 Her books help teams learn more about their users and apply that knowledge to make products people use and love. She advises early stage startups and consults with companies that want to improve their research, UX, and product development processes. She has a deep and abiding love of business jargon, and her fondest wish is to someday facilitate a synergy or synergize a facilitation. Whichever is easier. A futurist is a person who studies the future and makes forecasts based on current trends. But futurism doesn't mean we look into magic balls: it means creating visions through methods and techniques, many of which are UX-led techniques. Anne Konertz and Gini Keating could be called futurists because they use techniques to create visions of how technology might be used in the future. In this interactive workshop, participants used a method called Experience Prototyping to explore what consumers might want from 3D printing, AR glasses, and smart clothing in the future. 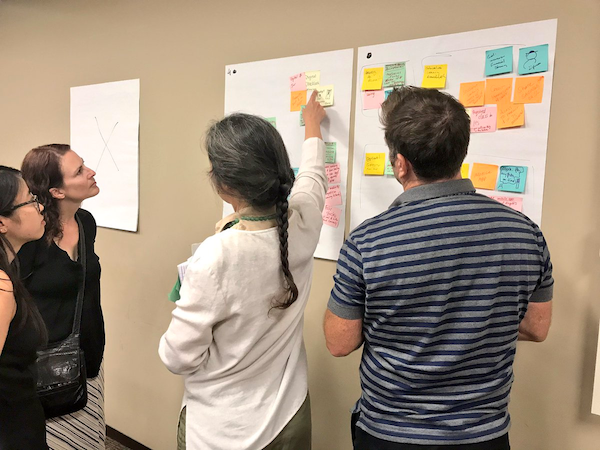 We shared how to mix brainstorm and improvisational theater methods help develop future use cases and learned how teams could help investigate future technologies organizations. In the tech world, user research has grown in importance for creating quality products and services. As designers, we know that good user research can inform us on what and how we design. But what kind of research is out there? What kind of research is best for a particular product challenge? And how do we create actionable insights from research that positively impact design focus? 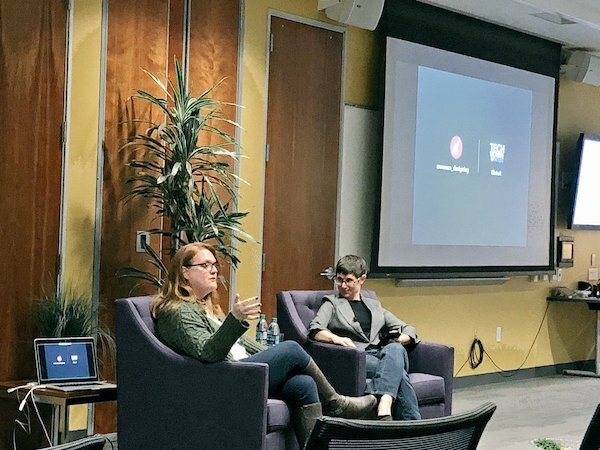 We looked to a panel of UX researchers to discuss these questions and gained insights into how to use UX research to inform positive product outcomes. 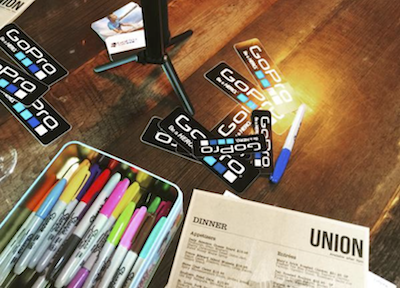 If you missed us, check out the write up on the GoPro blog, at UX Speakeasy Meetup or at #dwsdgopro. Jill Iwasaki, User Researcher at GoPro - Panel Facilitator. Jill is a UX researcher on the design team at GoPro. She has a background in Cognitive Science (HCI), a Masters in Business Administration, and previous experience in Qualcomm's research and development. As the first dedicated design researcher on GoPro's Software and Services team, she spent the last year and a half building the research program and loves finding ways that user research can help drive product strategy. 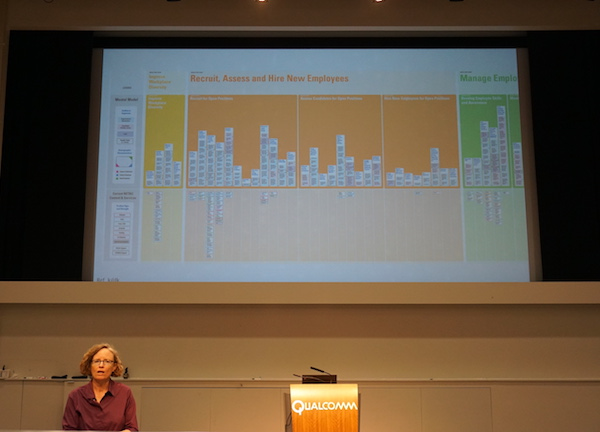 Robyn Oliver, User Researcher at Qualcomm. Robyn is a Cognitive Psychologist turned UX Researcher. She uses a variety of quantitative and qualitative methods ranging from hallway testing to psychophysics to gain insights into user needs. She is particularly fond of mixed method studies and exploratory HCI work. Robyn holds a Ph.D. in Psychology from the University of Pennsylvania. Cece O'Connor, Managing Director at Panorama Innovation. Cece designs experiences to make people’s lives simpler, happier and more meaningful. Her work is usually focused on Internet of Things and wearable projects in biotech, engineering, health and fitness. She has led global, human-centered design and research for fortune 100 companies including Callaway Golf, Gillette and Deloitte and currently leads an Innovation Consulting practice with offices in San Diego and Chicago. Monica Zinchiak, Analyst at Z. Research Services. Monica’s foremost talent is innovative methodologies, leveraging technology without losing the human factor, to uncover target customers true motivations, attitudes and behaviors. Monica holds a Bachelor of Science in Market Research and her graduate studies concentrated in the area of psychology and social behavior. She is an active member of the Qualitative Research Consultants Association (QRCA) and currently serves as President for the organization. Techniques in design do not always make a straight line, so how can designers have better visibility into the end product? For Shiae Park, prototyping her designs is a key technique. 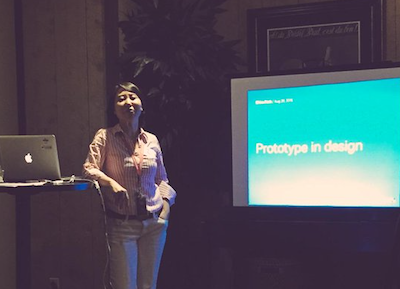 Shiae presented how rapid prototyping incorporated into the design process brings highly effective communication within the multidisciplinary projects. During the workshop portion, the group learned to build on initial requirements with sketching and effective prototyping tools. 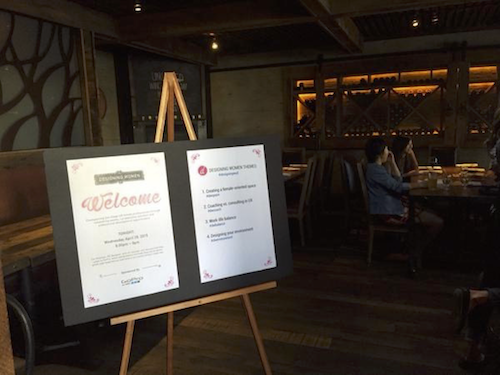 Shiae Park is a creative problem-solver in mobile and web industries for corporations and agencies including Qualcomm, Motorola, and Razorfish. She specializes on visual aesthetics and affordance, responsive layout and transitional UI animation to improve user experience. 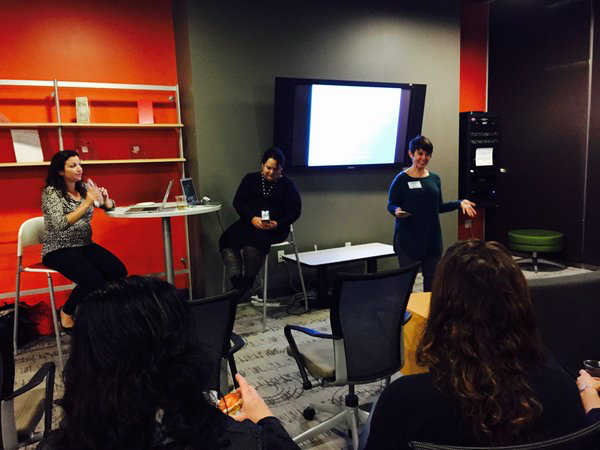 If you missed this one, catch up at #designingwsd. In the ideal world of user experience we always put our customer first, our teams are all on the same page, and we strive to delight customers above all else. But what happens when you are the lone customer advocate in a sea of data driven, results-focused, back end engineers? A small UX team trying to drive change across hundreds of engineers and re-focus their years of legacy work to be customer-backed seemed an impossible feat. However, with support from leadership, and some out of the box techniques that allowed us to bring a scalable customer empathy program to the organization, we’ve started to see amazing results. 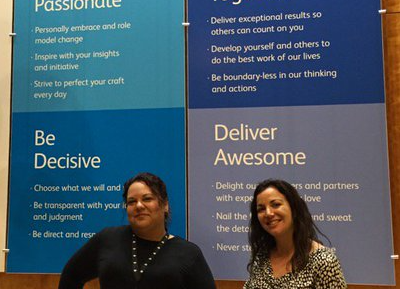 Avgerinos and Nidy relayed the journey to transform all members of our large technology organization into customer advocates and highlighted the strategy for creating a culture of empathy. Listen to the podcast redux on Soundcloud. 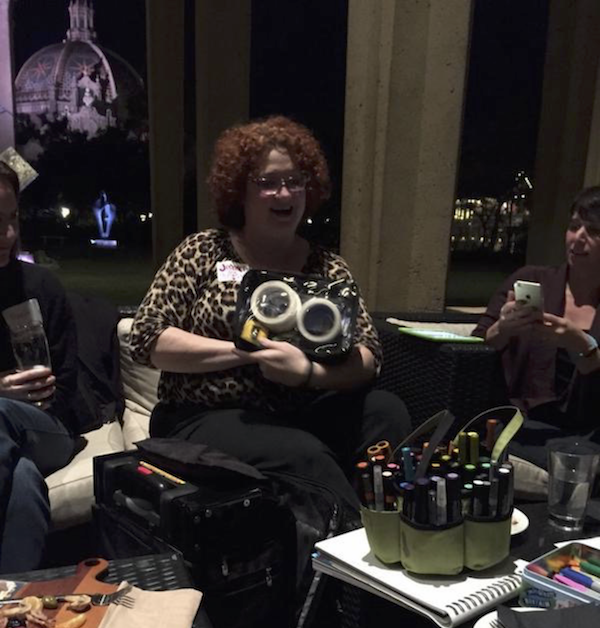 The first Designing Women event, set in beautiful Balboa Park, featured Jeannel King, graphic facilitator. Jennel started her company, Big Picture Solutions, to help bring products to market faster, improve productivity, from everyone being on the same page and actionable plans that all can agree on. Attendees learned about Jeannel's background in the non-profit sector while working with the facilitator's tool kit. 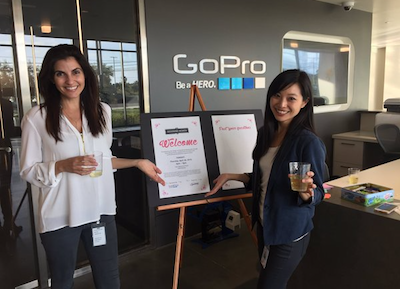 Behind some of the heros on GoPro's website are UX designer, Cat Guzman, and user researcher, Jill Iwasaki. Attendee's learned about how the team came to GoPro, what collaboration methods they use to define great user experiences and what a successful project looks like. 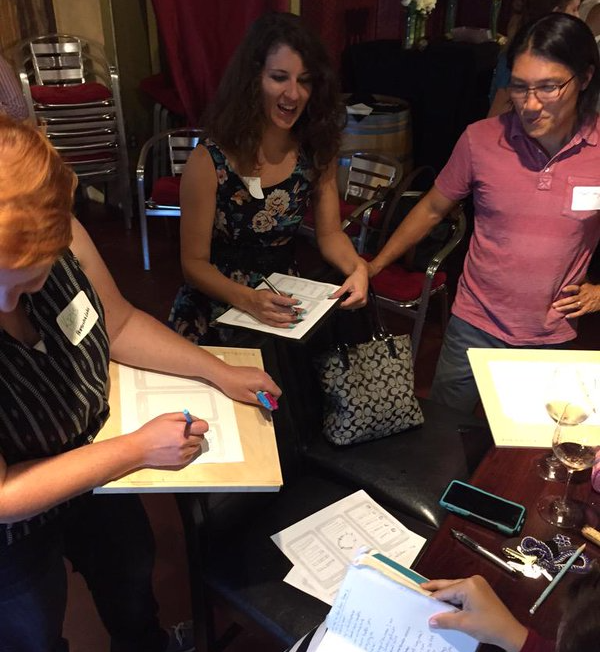 The night concluded with a design studio for creating inspiring spaces for collaboration. We started as 4 women going to lunch. We wanted a female-inspired culture to share ideas and find support. We had 15 at our first event, 25 at our second. We now have over 150 on our regular email list and over 250 followers on Twitter. Email Julie at designignwomensd@gmail.com for more information.